Last year I did an exhaustive, multi-part review of Tim Killen’s SketchUp ebook, during which Dave Richard’s SketchUp video was launched. I reviewed it as well. Within the world of woodworking, I felt there was only one other source on SketchUp I needed to review to be well versed on the subject – that being Bob Lang’s ebook titled Woodworker’s Guide to SketchUp. I share my thoughts on Bob’s ebook below. 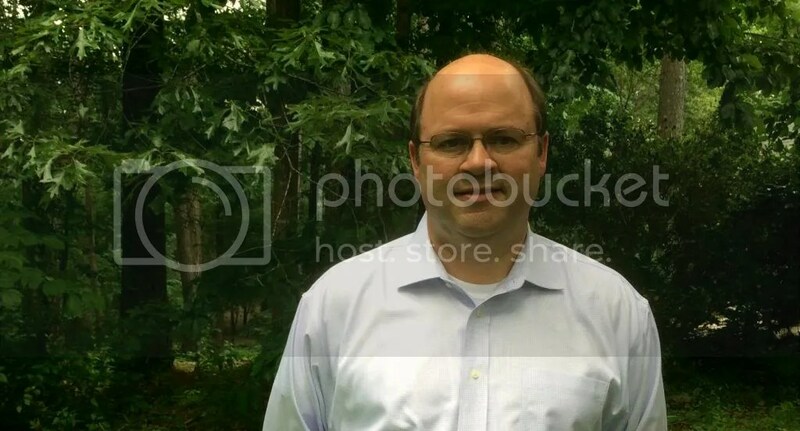 Bob Lang is currently Executive Editor at Popular Woodworking magazine. He is highly regarded as a SketchUp instructor and each year teaches SketchUp classes at various locations around the USA. Having reviewed SketchUp teaching products from Tauton Press, I wondered how Woodworker’s Guide to SketchUp would differ from Tauton’s competing ebook by Tim Killen titled SketchUp Guide for Woodworkers. To call Bob Lang’s publication a book or an ebook does not do it justice because it contains a lot of video. The SketchUp newbie should look upon video instruction with happiness. Video is something that Tim Killen’s ebook does not have and is especially needed for the advanced modeling taught. Bob embraces video early on in Woodworker’s Guide to SketchUp and video along with his text makes the ebook a more complete instruction experience. I find this interesting because Bob adds more technology to what is a home-grown, independently published effort. It seems to me that video would have been an easy addition to the Tauton backed effort by Tim Killen. Bob’s ebook is easy to navigate by using either bookmarks or links to chapter titles. Taunton publications are known for first-rate graphic design, photography and illustration. Graphic design is not a strong point in Woodworker’s Guide to SketchUp, but the somewhat humble appearance of Bob’s ebook certainly does not degrade the teaching points provided. It is loaded with illustrations and videos. A look at a typical page from Bob’s ebook. SketchUp is an easy program to learn, but in some ways it is too easy. If you move too far, too fast you’ll learn to create a mess of stuff on-screen that you can’t do anything with. Let’s just say that I have never considered SketchUp to be “too easy” but, his point about learning too fast is absolutely correct. To start out, Bob sets the stage for the ebook by offering two organizational chapters: “Setting up Shop in SketchUp” and “Navigating the SketchUp World”. These two chapters help the reader embark on the road to SketchUp success. Then Bob turns his attention to his list of basic SketchUp tools; things like the line tool, push/pull, move/copy, etc. Each item is discussed through text as well as video. This combination of text and video is extremely helpful – almost all SketchUp instruction should be this way. I remember my early days with SketchUp – sometimes the program would be soooo frustrating, I felt like throwing my computer out the window. If I only had Bob’s deep, calm voice to guide me, things would have been a lot better. If you can get in the habit of using the keyboard shortcut it won’t be long until using it becomes automatic, and you won’t waste time looking for an icon on the toolbar, or reading a list on a menu. There are three videos in the chapter on basic drawing. Here again the use of video is excellent. Working with objects is next. An overview of how objects relate to one another in SketchUp is given. Bob then turns his attention to helping the 3D artist understand ways to draw accurately using the tape measure tool among other things. Next is how to move, copy and rotate an object – learning how to correctly move an object in a 3D environment is an accomplishment. Bob’s process makes it easy. Our first modeling task: create a simple coffee table. The chapter on groups is where we begin working on a specific model. Bob chooses a simple coffee table as the subject. Here Bob makes use of the tape measure tool to layout the location of the table legs, creates them and with the move tool, he makes copies and moves them to the correct position in a matter of seconds. With equal ease, he makes the front apron and moves it into place. Here, Bob turns parts of the coffee table into individual objects via the group command. I found this interesting because I rarely use the group feature. Components are quite similar to Groups. In fact they are groups, but better. Components have names and a place to live away from the rest of the model. This means that you always have an extra copy of a Component around to experiment with. If you consider Groups to be heroes in the SketchUp world, then Components are the super heroes. This chapter and the following two detail the use of components. Fully understanding components and their abilities is critical for creating models in an easier way. SketchUp is such a vast program that even after several years of use, there are many features which I have not taken the time to understand. Bob writes about the Components Window. While I have briefly seen others use this feature in video, I have never used it. This is an example of how this ebook can help someone who is beyond the beginner level. Bob’s instruction frequently shows the 3D artist fast ways to accomplish things. In the image above, simply right clicking on a component brings up a pop-up menu which is easier than finding the same command in the drop down menu. Bob then takes the reader through the construction of a cabinet. This includes making a dovetailed drawer as well as a raised panel door. Through text and video, we see the best way to create these components with just some basic dimensions. By paying close attention to the included videos, we can see how Bob not only creates complex joinery, we can also see the how he uses the mouse and pop-up menus to do these things quickly. Some advanced modeling: creating a raised panel. In the final sections of Woodworker’s Guide to SketchUp, Bob explains how SketchUp can and should be used as a design tool in addition to providing information about individual parts and joinery. There are two basic methods of modelling in SketchUp, conceptual modelling and detailed modelling. In conceptual modelling we take on the first part of the design process, finding the overall size, shape and form. We want to establish general information about the end product, and the size and shape of individual parts isn’t very important. In detailed modelling we are looking for information that will allow us to confidently fabricate parts in the shop. The size, shape and form of each part, and how it fits within the whole is important. Bob discusses how to take an object; a bookcase, and moves it from design concept to making components for construction. The final sections of the book deal with circles, arcs, some problem solving tips, on-line resources like the 3D Warehouse and lastly, basic techniques for adding dimensions and color, and how to prepare your model for printing. When I first started learning SketchUp, I did what I think a lot of us do. I viewed the tutorial videos found at the SketchUp website. I spent no telling how much time searching the internet for answers when a problem presented itself. I bought the Dummies book on SketchUp which wasn’t very helpful (not specific to woodworking). Many months of frustration passed before I decided to get some help by way of books on SketchUp written specifically for woodworkers. So, if I could put a price tag on all that frustration, and wasted time with search engines, how much would it be? Woodworker’s Guide to SketchUp currently sells for $39.95. When I first came across Bob’s ebook, I did not buy it because I thought the price was high. But after spending time with his ebook, I feel Woodworker’s Guide to SketchUp is a great value. Bob’s combination of text and video makes his ebook a must have for woodworkers who want to be using SketchUp quickly. The tips he offers will have you creating 3D models in no time. I have not doubt that if I had purchased his ebook early on, I would have considered SketchUp to be just as easy as Bob does. Also, as far as the comparison to Tim Killen’s ebook, SketchUp Guide for Woodworkers, Tim’s ebook is good and costs less, but it sure could use some video. Tim challenges the reader by providing more modeling assignments than Bob does, but the harder the models got, the need for video became greater. Bob Lang stresses more of the basics with a few advanced modeling tasks and provides comprehensive video instruction. Based on this, I feel Bob’s ebook is the better choice for the beginner, even at a higher price. 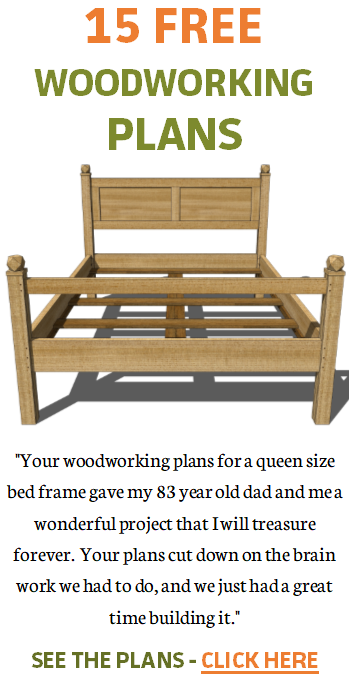 Get Bob Lang’s Woodworker’s Guide to SketchUp by clicking here. Those interested in Bob Lang’s work with SketchUp and his woodworking in general will want to listen to an interview at the Modern Woodworkers Association blog by clicking here. Thanks, it was a fun review to write. See Bob’s Lang’s take on what I wrote by clicking here.